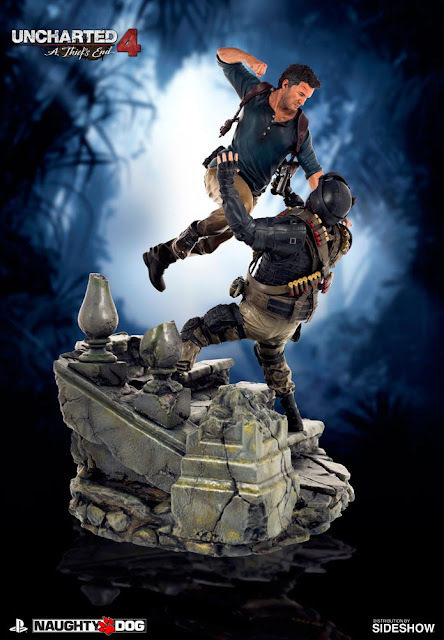 October is coming soon and so is the Uncharted 4 Nathan Drake Statue Diorama! As we approach the release date of this, Naughty Dog has released a promo video in anticipation of its launch..
At USD$350, and only 750 units produced, this 1/6 scale beauty is a must-have for Uncharted fans. There aren't many pieces left so you might want to grab this one soon. I already have this pre-ordered on Sideshow.. can't wait to receive it and will be sure to take some pics and do a review on it.